Below you can view all the homes for sale in the Woodcrest subdivision located in Las Vegas Nevada. 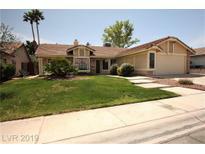 Listings in Woodcrest are updated daily from data we receive from the Las Vegas multiple listing service. To learn more about any of these homes or to receive custom notifications when a new property is listed for sale in Woodcrest, give us a call at 702-930-8014. Seller is licensee - Sellers Daughter is staying in home until sold - small dog so no 'surprise' showings. Call L/A for lockbox info. MLS#2087610. Keller Williams Market Place. 1 story ... 2 good size masters with baths.. walkin closet.. new paint ...new man made floors waterprove and was much more expensive than regular flooring material... cover patio.. 2 car garage has plenty of cabinets MLS#2088047. Elite Realty. Hurry, this one won't last long! MLS#2086470. Realty ONE Group, Inc. It also features a great layout, vaulted ceilings, plenty of natural light, a cozy fireplace, granite countertops, a breakfast nook overlooking the courtyard, large master bedroom with en suite bathroom, and a backyard with shed and a lemon tree to top it off! MLS#2084387. Simply Vegas. Vaulted ceilings, large master bedroom with dual vanities. Close to Public Park. MLS#2083567. Realty ONE Group, Inc.
Conveniently off the freeway and to retail and services. MLS#2077318. Robin Realty LLC. Great Size Bedrooms That Share Fantastic Bathroom W/ Tile Flooring, Beautiful Vanity & Tub/Shower Combo. *lease Buyout-30 Day Move-in MLS#2073610. Turn Key Property Solutions. Easy access to grocery stores, restaurants, schools, and the 95 freeway. Come by today! MLS#2062388. Signature Real Estate Group. Perfect sized 1 story at a perfect price! MLS#2048960. Love Local Real Estate. Master can be your own mini penthouse with spa like master bathroom and direct access to pool MLS#2044871. Platinum R.E. Professionals. Near Shopping, Schools, And Freeway Access! MLS#2043371. Fathom Realty. Owner will include some furniture and a freezer in the garage. MLS#2034170. Realty 360. In close proximity to schools, shopping & dining! ! 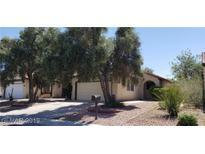 MLS#1954450. 81 West Realty.